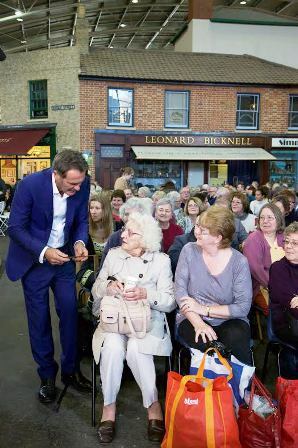 Get your antiques valued when popular BBC One antiques programme Flog It visits Wolverhampton Art Gallery on Wednesday October 14, 2015. The show's experts, led by presenter Paul Martin, will welcome visitors and their valuables - and hope to make some exciting finds. Rather like a treasure hunt, members of the public are invited to bring along up to three antiques and collectables they might be interested in selling. Once valued, the owner and a team of experts decide whether an object should go forward for auction. If the item is chosen it is included in a sale a few weeks later – hopefully, when the auctioneers hammer falls its owners make a tidy sum. Everyone who attends the Valuation Day at the art gallery will receive a free valuation, even if their antiques are not chosen to go forward for auction. The show recently made a significant find when a rare Aboriginal Broad Shield that had been kept hidden away in a Flog It viewer's wardrobe was brought along to a valuation day in North Lincolnshire and went on to sell at auction for £30,000. The series also uncovered an unusual Royal Doulton Spook figurine in Blackpool which had been bought at a car boot sale for £2. It went on to sell at auction for £5,000. 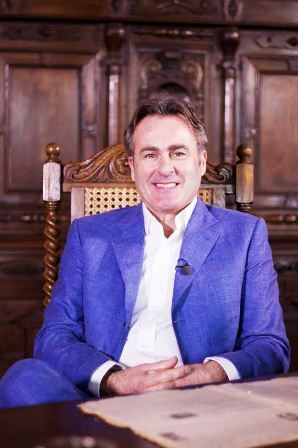 Alex Habgood, Series Location Manager, says: "Paul Martin and the entire Flog It team are really pleased to be bringing the show back to Wolverhampton. I'm sure the art gallery will provide the perfect setting for our valuation day; our experts are all looking forward to welcoming people along for their free valuations. If you've ever wondered how much your boot sale bargains or clutter in the loft might be worth, now is your chance to find out." Paul Martin adds: "The series first visited Wolverhampton in 2006 when we filmed at the Civic Hall. I'm looking forward to exploring the art gallery and revealing some of its fascinating history to our viewers. I hope as many people as possible will come along to see us with their items for valuation." Councillor John Reynolds, the City of Wolverhampton Council's Cabinet Member for City Economy, says: "We are delighted to be welcoming Paul Martin and the Flog It team back to Wolverhampton for another edition of their hit BBC One show. Wolverhampton Art Gallery will be a fantastic location for the valuation day, and it will be a great opportunity to show off some of the gallery's treasures to a national audience." 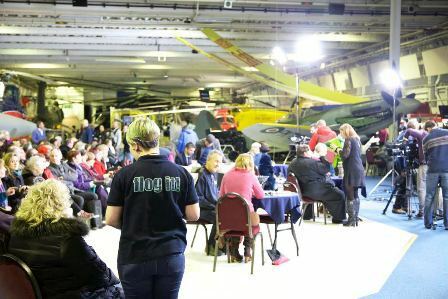 • Flog It will be at Wolverhampton Art Gallery, Lichfield Street, Wolverhampton, WV1 1DU on Wednesday October 14, 2015 between 9.30 am and 4 pm. The items selected at the valuation day will go under the hammer at Trevanion and Dean Auctioneers, The Joyce Building, Whitchurch, Shropshire, SY13 1RD on Saturday November 7, 2015.